Home | About Me | Family Photo Album | My Resume & Photos | Ms. Alabama Classic | Video Gallery | Christmas! Mary B. Young wins title!! Ms. Etowah County American Classic Woman of the Year! My, my, my, what an awesome adventure this has been! Several months back two ladies, Lacinda Casey and Carol Gunter, who work with mother in the offices of Weaver Insurance came to her with a request. 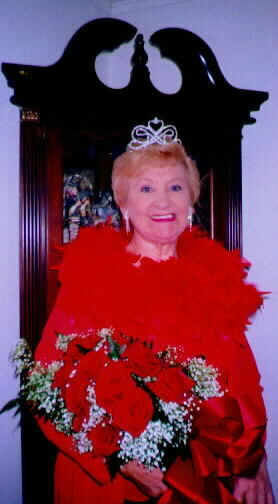 They wanted her to enter the Ms. Sr. Etowah County Pageant. (The name has been changed to American Classic Woman of the Year). Mother had a few chuckles and then realized they were serious! They obtained an application for her and said, “Now, go win this for us!” The intrigue was just a little too much for the adventurous side of Mary Young. Mother knew that she had all the help she needed at her fingertips considering the fact that I not only teach private voice (which is Mother’s talent) but that I teach pageantry also. We set up weekly sessions and began work. We spent hours on her modeling, philosophy of life, pageant attire, interview and solo. Walking, turning, singing, speaking, questioning, smiling, quick thinking and all the intricate details that can bring an individual to full potential. Mother worked, and worked very hard. She was daily diligent to practice everything we were working on. Without her determination, it would not have happened. This was clearly something she really wanted. The pageant week arrived and all the contestants were abuzz! The private individual interviews with the judges were held in the Green Room at Convention Hall. As my family and I entered Convention Hall, we were greeted by a beautiful display of former queens with wonderful smiles and great, outgoing personalities (pictured below). Shirts had come from the Etowah County Detention Center for the ladies’ opening number, “Jailhouse Rock.” Talk about entertainment! Even the deputy sheriff gave in to the pressure and danced with them on stage! It was great! The ladies then performed their talent, sauntered across the stage in their evening gowns, confidently gave their well-thought-out philosophy of life and then answered an impromptu question on stage. I salute every lady who had the confidence to stand before the several hundred in attendance that night to proclaim the power and beauty of aging gracefully. This certainly gives me anticipation for my 60th birthday! They were having SO much fun! This is one thing that I have certainly learned in life; if you’re not having fun, you’re missing out! I always tell my students before they walk on stage, “It’s too late to worry about words or choreography, now it’s time to have fun and enjoy yourself!” When you enjoy what you do, it definitely shows up on stage! I guess these ladies have lived long enough to realize and understand that it truly isn’t important to sweat the small stuff. When it was time for the announcement of the judges, you could have heard a pin drop. When they called out the 2nd and 1st runner-up, my heart went to my throat! 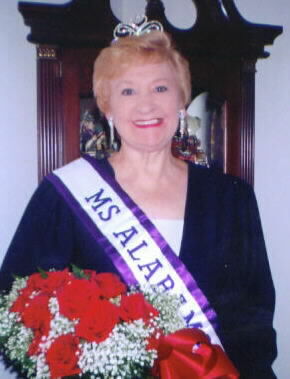 Then, yes indeed, I did hear my Mother’s name as the new Ms. Etowah County American Classic Woman of the Year! 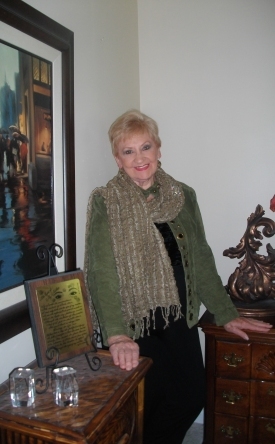 Thank you so much, Judy Glavaris with the Council on Aging in Etowah County, for creating this wonderful opportunity for ladies 60+ to experience a really joyous, glamorous side of life! You are very much appreciated. The first runner-up, Wanda Fox and Mother (me too!) will travel to Biloxi, MS on October 12th for the national pageant. Knock ‘em dead!